Freer Auto Body was started in 1991 fulfilling the dream of David Freer, then an 18 year old graduate of Ranken Technical College. Our meager beginning included a 30 x 50 building. 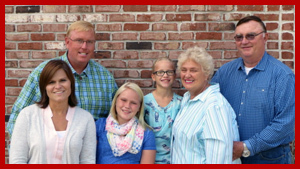 It has always been a family business with David, Tim, Margaret and Mike working countless hours to insure its success. We lost David in 2008 and Tim assumed the role as president. Carrie joined the office staff and Taylor and Lily are often around to assist and add joy to the day. Today we have over 17,000 square feet with the most modern equipment and 20 employees. We have received the Captains of the Riverbend Award in 2004 and 2013 from the Riverbend Growth Association, Small business of the month in 1995, 2003 and 2011. In 2011 we received the Golden Leaf Award from the Godfrey Women's Club. Taylor and Lily have been recognized as United Ways outstanding community volunteers. In 1999 Margaret received the Women of Distinction Award and in 2011 Tim was a recipient of the first 20 Under Forty Awards. We have never forgotten our meager beginnings and attribute our success not only to hard work but to a community which has embraced and supported us. We have been good community servants. We give freely of our time and monies. We have painted fire trucks, Salvation Army bells, rescue boats, water buggies, plaques and other items free of charge used in our community on a daily basis. 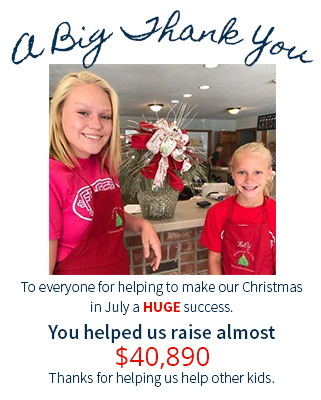 We serve on various community boards, host Cookies and Cocoa and Taylor and Lily host Christmas in July which raises thousands for Community Christmas. We have held blood drives and hosted countless fund raisers for our local charities. We are a highly respected and "wreck-o-mended" ICAR gold class facility. We practice the Golden Rule in our business, treating people the way we would like to be treated. While our contributions are many, we are most grateful for the ability to give. We are a close family and are closely connected to our community. The community has made us what we are today and we feel it is our civic duty to give back and help make our community a great place to live and work. We are an Assured Performance Collision Care Provider- a non-profit consumer advocacy organization. Utilizing our knowledge of the collision repair industry and working with thousands of the best in class repair businesses, we have designated what standards make a collision repair business the best.